Twitter Bootstrap guide is written in a way, so that the basic users can use Free Twitter Bootstrap Source Code and use customize for own website design. Twitter Bootstrap is officially known as Bootstrap and this is named as Twitter Bootstrap, as the origin of the design is Twitter. The source code is free and open. Anyone can download it from GitHub. Twitter Bootstrap guide is written for – those who has no idea about a HTML webpage plus those WordPress users want to use Twitter Bootstrap as a separate directory for some reason. Mark Otto and Jacob Thornton released Twitter Bootstrap in August 2011, for front-end developers to create projects more efficiently and fast. You need to know some basics of HTML and CSS. Search with HTML Basics, CSS Basics in Google Web Search for very easy guide. It will be too much offtopic if we go in to each of the details. w3schools.com, html.net are age old websites for the basics. So, practically; you need not the whole folder of uncompressed one, but few. Unfortunately it can be tougher for you to choose which folders are not required. Leave it as it is. If you double click or open any of these .html file, they will open as if a webpage in your local computer. But you need to customize it. First, the Windows users need a good code / text editing software like Gedit. There are lot of great free tools for OS X and Linux users apart from Gedit. This basically not the intended named menu. Project name, for example; should be changed to your real project. Edit it, save it and then open it in your browser to see the changes. This is Twitter Bootstrap Guide For Newbies, we will go in to full customization in this guide. 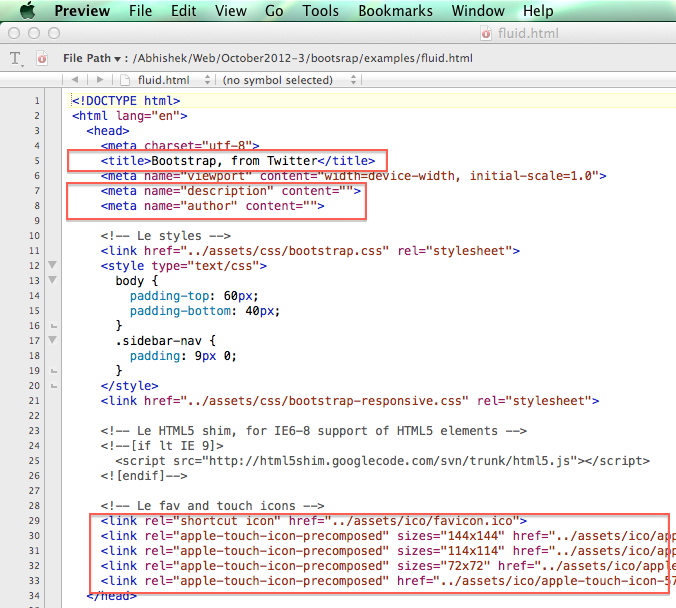 Also read – Twitter Bootstrap Design Website on Free Dropbox Cloud for practical example. This Article Has Been Shared 2721 Times! 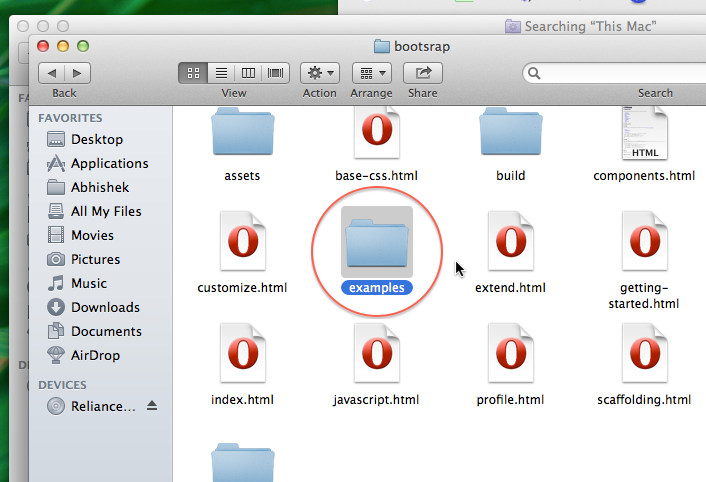 Cite this article as: Abhishek Ghosh, "Twitter Bootstrap Guide For Newbies," in The Customize Windows, June 25, 2013, April 20, 2019, https://thecustomizewindows.com/2013/06/twitter-bootstrap-guide-for-newbies/.